We are a fan of non-traditional engagement rings and have a great selection of vintage and antique engagement rings. We also feature a large selection of sapphire engagement rings and we are expanding our inventory of Ruby Engagement Rings. Rubies make a great colorful center stone choice for the bride to be that wants something different but also something durable. 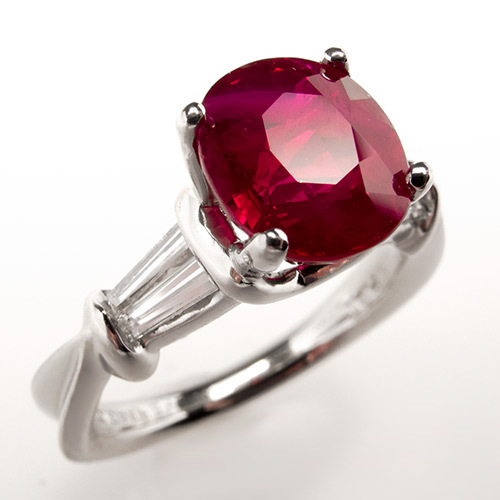 A ruby is a naturally tough stone and therefore can stand up to the daily wear of an engagement style ring. If you are looking for something that everyone else doesn't already have, consider a ruby.